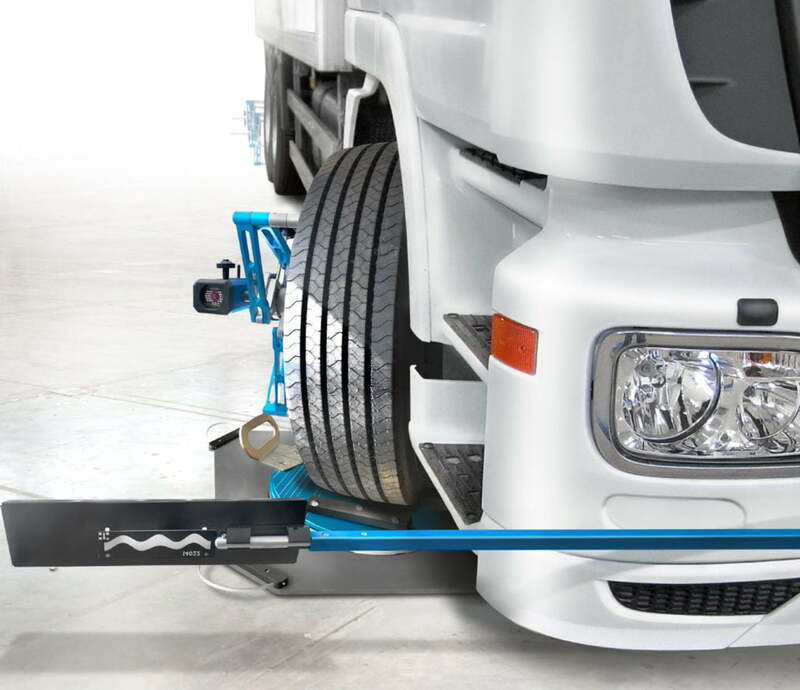 The digital TruckCam Camera Wheel Alignment System is one of the most advanced systems on the world market. 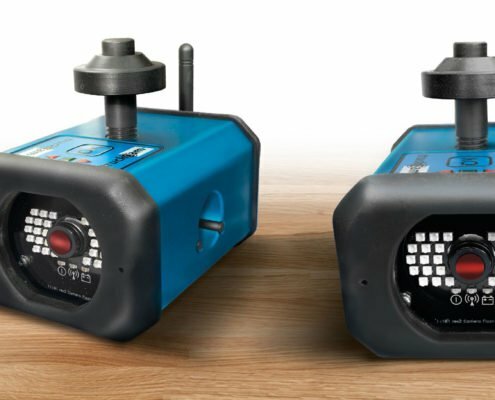 With the integrated gyro and electronic inclinometers, precise and accurate measurements are guaranteed. 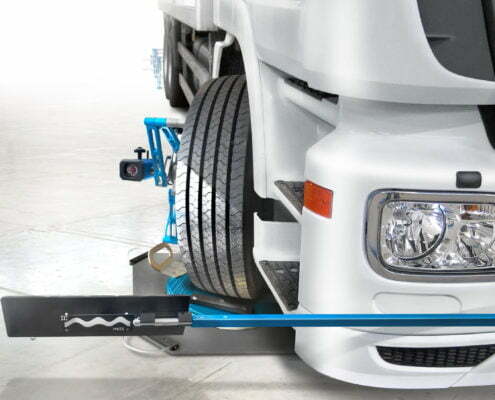 The system enables dynamic toe and camber measurements while in the driving position, by using the unique TruckCam Rolling Method. 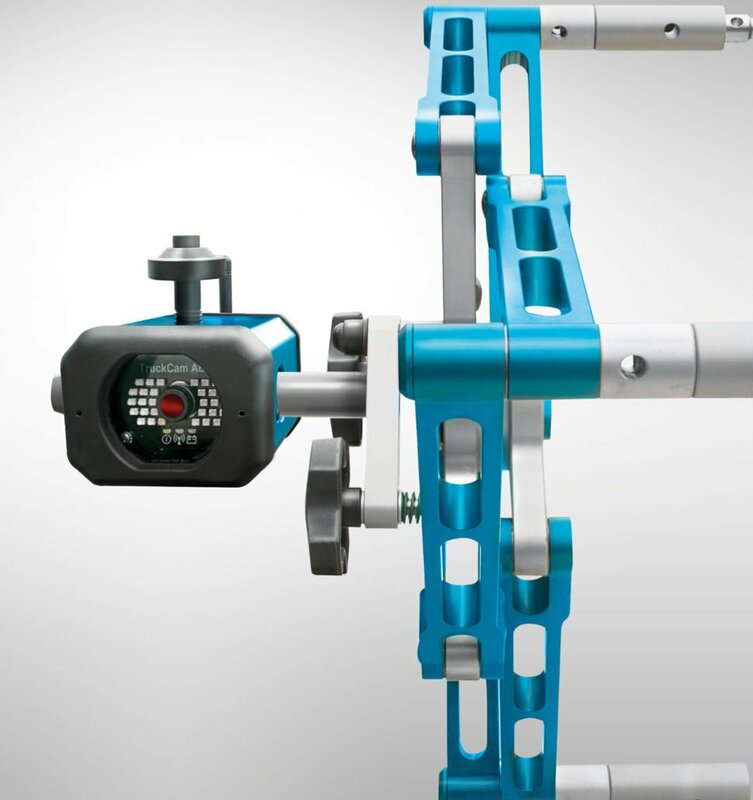 For this measurement no lifting of the axles with Run-Out compensation is required. 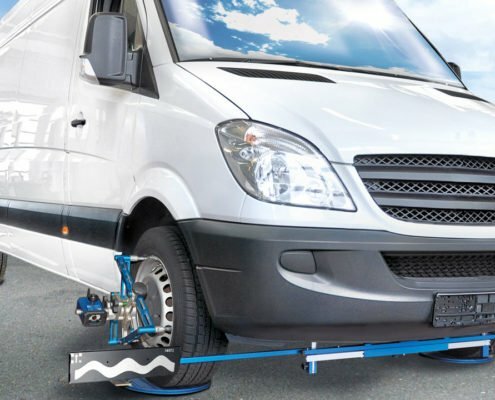 Of course the system also enables Run-Out compensation of wheel adaptors. 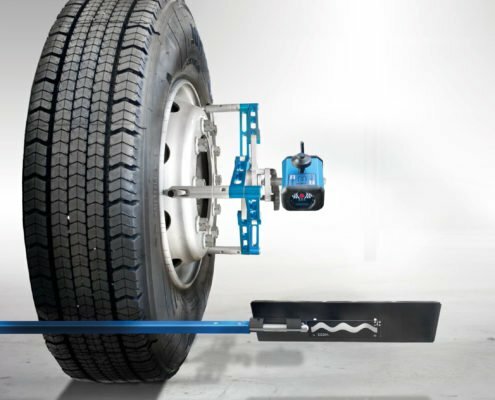 The system is designed for measuring all wheel angles, including parallelism between axles, on commercial (heavy duty) vehicles, such as trucks, trailers, buses, vans, mobile cranes and agricultural vehicles. 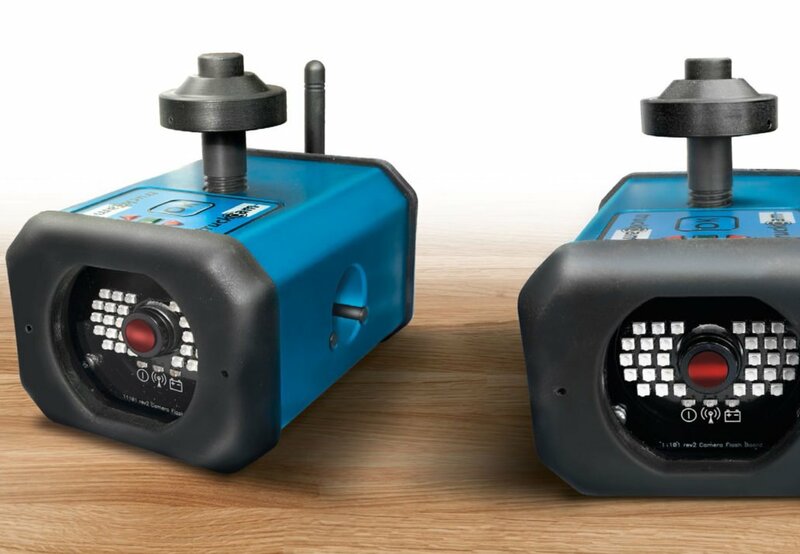 The system uses wireless technology for transmitting data between the measurement units and the computer. The computer program guides the user through the measuring process and prints out measuring reports of values measured before and after alignment. Or send us an email via our contact form. 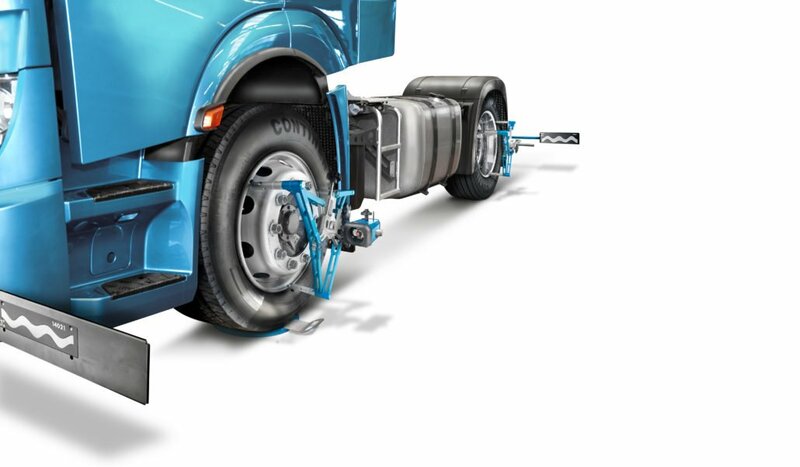 The TruckCam Camera Wheel Alignment System uses the centerline principle to determine the position of axles and individual wheels in relation to the vehicle centerline. 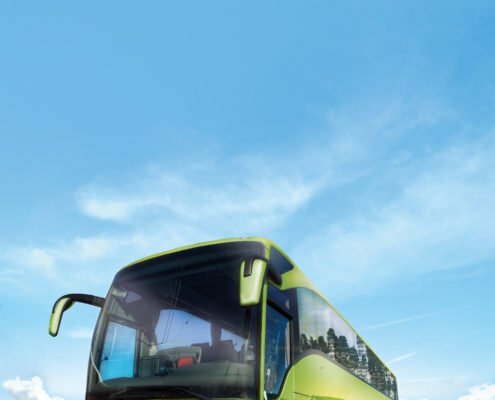 The centerline of the vehicle is determined by the self centering frame gauges hanged in the front and rear of the chassis or body. The reflective targets are placed on an equal distance from this centerline, creating an imaginary line on each side of the vehicle, parallel to the vehicle centerline. 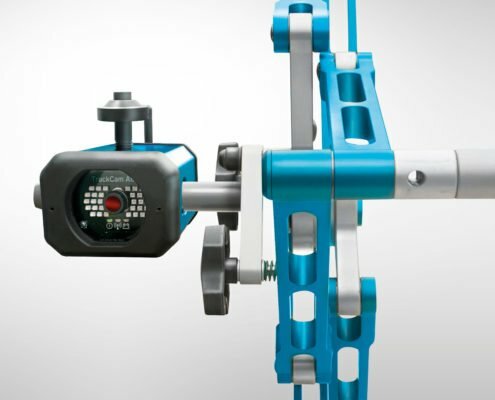 The camera measures distance and position in relation to the front and rear targets. 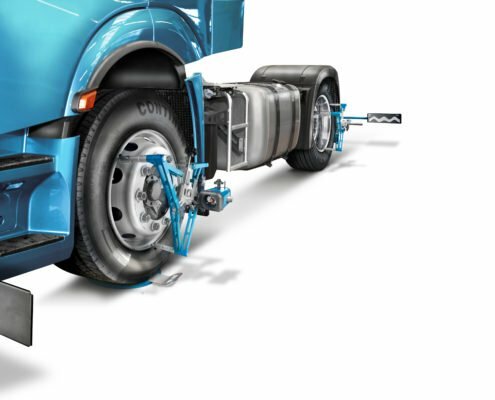 Thanks to this the system software is able to calculate all wheel angles for that particular wheel and axle in relation to the centerline, for example total toe, individual toe, out of square and parallelism between axles. 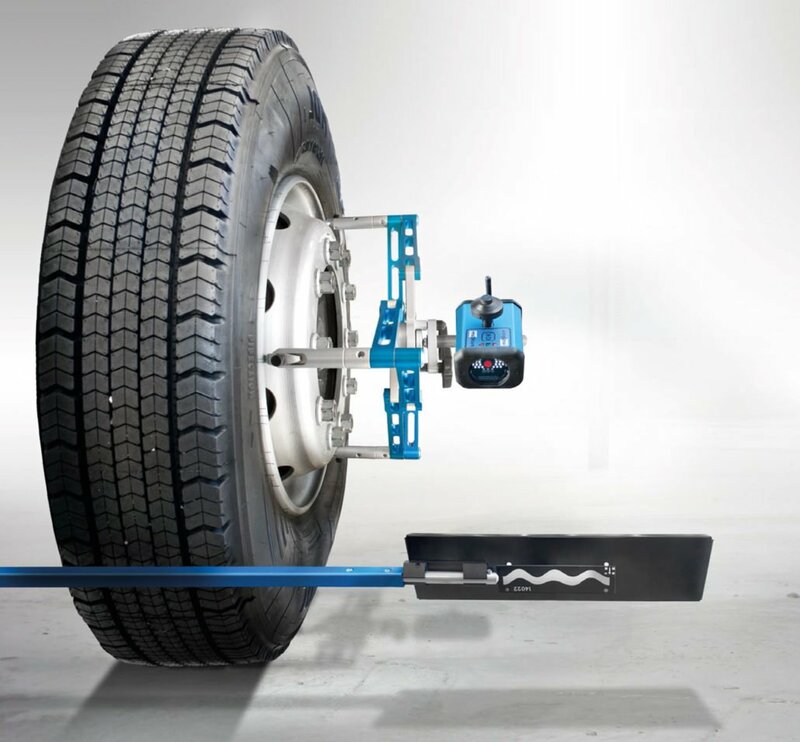 There are many benefits to using the TruckCam wheel Alignment system some of which are outlined below. 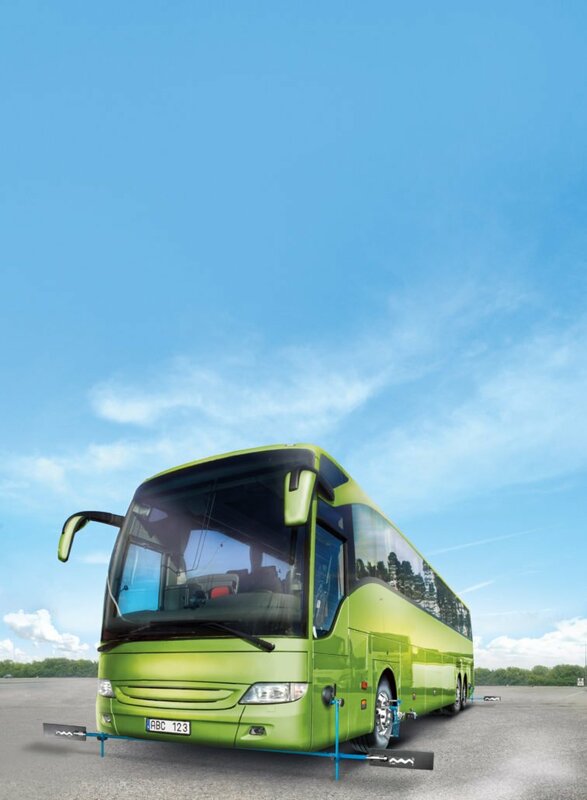 Our TruckCam aftersales support encompasses an array of services that are catered to TruckCam products. 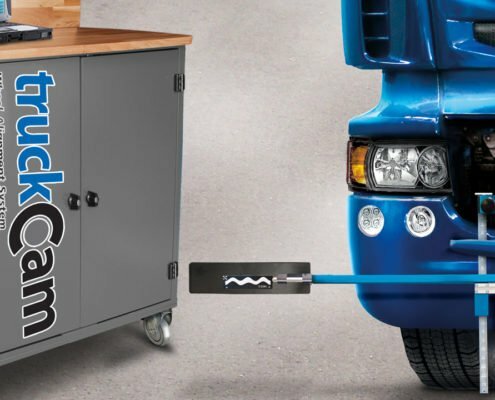 It is designed to assist you and your business in using TruckCam equipment correctly and ensuring the equipment is operating optimally. View our aftersales support pages here: training, equipment servicing and equipment calibration.